Want to make your plainest black dress stand out? 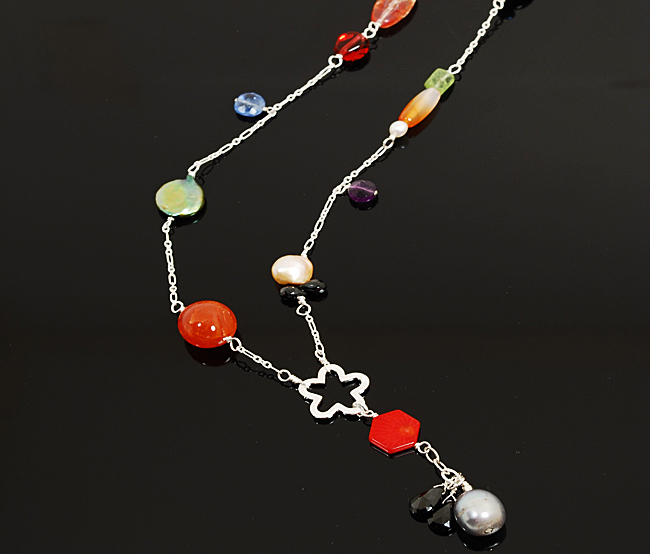 Just throw on this 34″ cornucopia of colorful gemstones, crystals and pearls and you will shine! Accented with a large grey freshwater pearl and black spinel briolettes.